Recently Detour Coffee Roasters placed 5th at the 2011 Canadian Barista Championship. 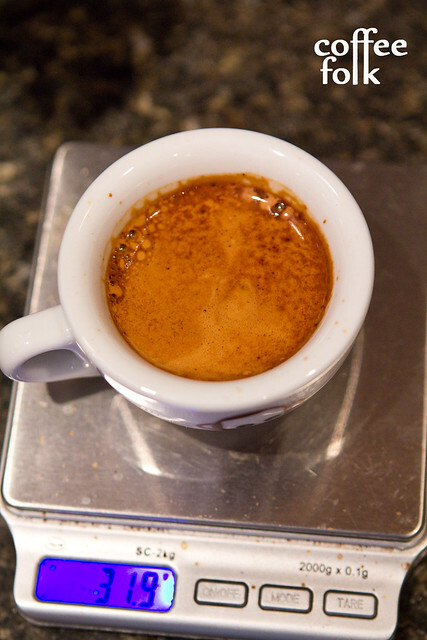 Espresso profiled Guatemala from Detour. 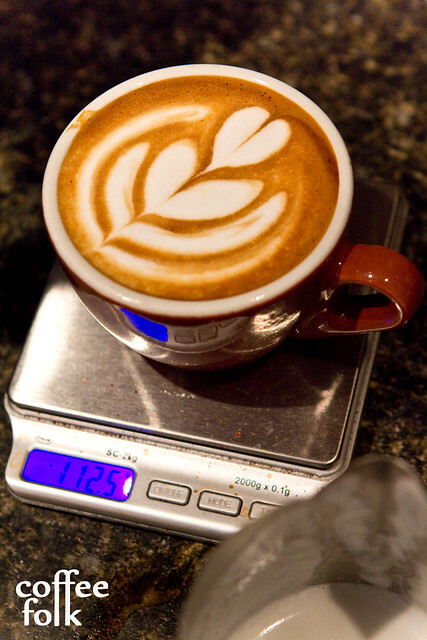 Barista Geoff Woodly was pulling a version of the Finca El Limonar at the competition. You can see the full results by clicking here. I already posted a preview of this coffee, which you should check out if you haven’t already. Also, you can catch Detour on the twitter machine (@detourcoffee). So I received this coffee long before the Canadian Barista Championships, and before I saw Geoff place 5th. Again, prior engagements caused a delay in correlating and posting my results. As per usual, I started with the usual baseline I use, 94 degrees Celsius, 19grams. Given this was a single origin coffee, I was expecting it to be more difficult to pinpoint the sweet-spot. This espresso seemed to work the best at 93 degrees Celsius. The dose seemed ideal around the 18.5 – 19.0 gram range, with a final liquid weight of 28-29 grams with a total shot length of 26-28 seconds. Keep reading for details. This espresso seemed to be pulling a little hot on my baseline parameters, but a quick drop down to 93 degrees Celsius I was getting some good results. @ 93 degrees Celsius: chocolate, orange rind, lemon acidity, stone fruit (primarily red plum), subtle sweetness and faint anise. Unfortunately, all of these elements weren’t dominate at once. I found slightly different parameters highlighted certain aspects. For instance – an 18.3 gram dose to 29 grams of espresso – produced chocolate and a certain tobacco element in the cup. Yet – a 19.0 gram dose to 28 grams of espresso – produced that chocolate plum and faint anise. Pulling 19.2 grams solid to 28.7 grams liquid and adding 116 grams of milk (~6oz total volume cappuccino), the dominate flavour was a milky chocolate. There were hints of toffee and this interesting tootsie-roll like thing happening. If parameters were really tight, you could get a little of that anise (which was responsible for the tootsie-roll play). This had some interesting components, and I was surprised by the plum and anise. However, personally, I was disappointed by the one-noted-ness it produced in the cup. It was a little straight-forward and perhaps not one of the things I’d look for in a single origin espresso. Despite this, the Limonar earns a respectable… 88/ 100. Of note, however, is Geoff’s 5th place finish at the Canadian Barista Championship. Evidently others found this interesting as a single origin espresso. Again, I found it lacking the complexity I look for in espresso. Total 100 point score of 88/100.